Successfully Added Cute Rabbit Soft Plush Phone Case for iPhone X-Dark Gray to your Shopping Cart. Environmental friendly plush, nontoxic, soft and lightweight. Well protect for your iPhone from scratched and damage. Perfect detail, fine workmanship, exquisite and durable. 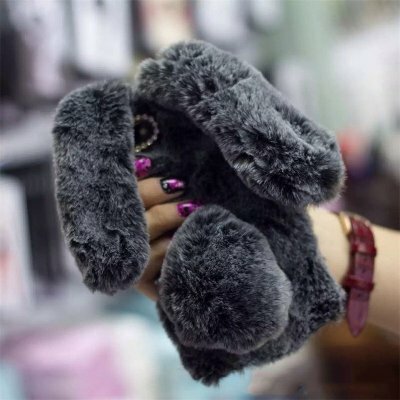 Cute rabbit style and sparkle colour, highlight your temperament.